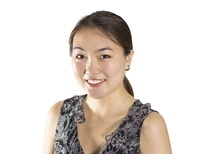 Rina Li is Senior Research Analyst at Government Business Council, where she writes and produces content on federal, defense, and tech topics. She holds a degree in International Politics and Security Studies from Georgetown University's Walsh School of Foreign Service. Feds Think They’re Solid on Customer Service. The Public Isn’t So Sure.